Disclosure: I was given tickets to the Ontario Science Centre to facilitate this review. As always, I only share things I love with my readers. This is the week that many parents both love and dread at the same time – March Break! It’s fun to spend time with the kids, doing fun activities, but it’s the planning that can be difficult and time-consuming. So, I kept it simple this year… museums, neighbourhood walks, a visit to our local toy store and some fun outings with family friends. One of them was a trip to the Ontario Science Centre. My kids have been there a few times before, but it’s nice to go back regularly to see what’s new. We had heard about a new addition, The Energy Show, sponsored by the Independent Electricity System Operator (IESO), which my kids were eager to see. It explores different energy sources, the importance of renewable energy, and energy conservation – and even a demonstration of a Tesla coil!  The Energy Show runs weekdays at 1:30 pm & 2:30 pm, and on weekends at 12:30 pm, 2:30 pm & 4 pm. You can find out more about The Energy Show at http://www.ontariosciencecentre.ca/energyshow/. 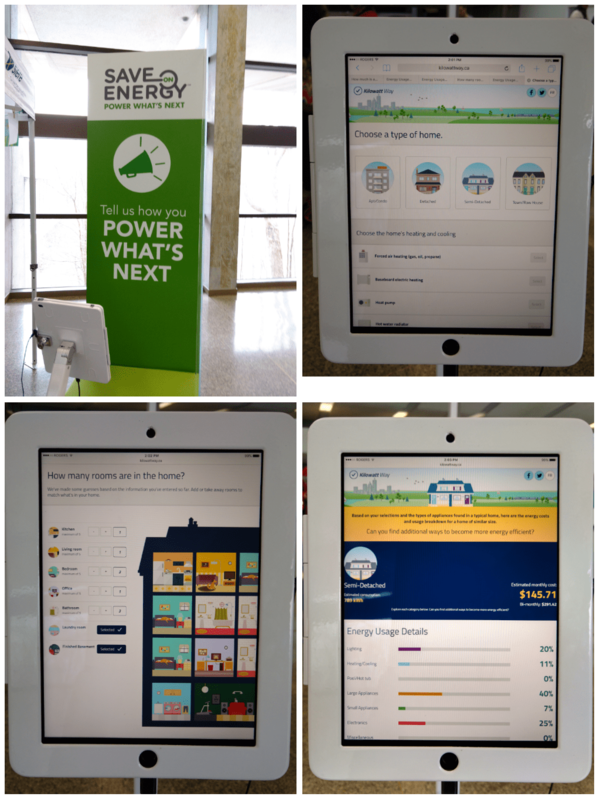 While at the Science Centre, the kids also had fun learning how to save energy at home at the on-site activation sponsored by the IESO. Here are a few things we learned – all simple ways to save on energy costs. Add motion sensors, which shut lights off automatically when people leave a room (my kids forget all the time!). Sensors provide added security by lighting up hallways, backdoors and garages automatically, avoiding the need to leave lights on for hours at a time. Use power bars with integrated timers for game consoles or home theatre systems, so that electricity is shut off to those devices. They reduce the “phantom power” used by devices in standby mode, which can add up to as much as 10 per cent of a home’s energy use. 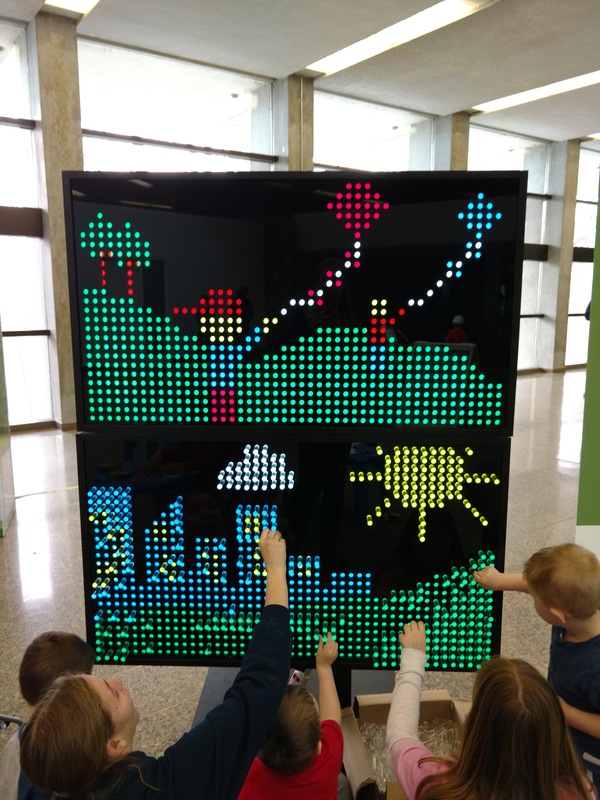 This life-size light wall was a hit with kids! It was great to see my kids empowered to make changes that are good for the environment (and my wallet!). If you’d like to inspire your family, too, visit saveonenergy.ca for lots of ideas to use energy wisely in your home. Enter via the Rafflecopter below. Open to residents of Ontario only, age 18+; see Rafflecopter for full contest details and terms. I am actually already the only person I know who already conserves energy more than anyone I know. To me it isn’t extra money , as a single mom it means food in the fridge. So true, Carey! Growing up in a single-parent family, I know all too well what that means. Thanks for doing your part for the environment and for being a fab mama! Good luck! We are trying our best to conserve energy, our last hydro bill was awful 🙁 So this extra savings would go towards our family vacation. Every bit helps. I agree – thanks for doing your part for the environment! Good luck! Yay, Tara – you won!! Check your email inbox! I would use the money I save to do a staycation – be visitors in our own town. Catch a show. Go to an amusement park. Eat at restaurants. The kids would love it! Great idea – I love exploring locally!! Good luck! Now, *that* sounds fun!! Good luck, Marla! 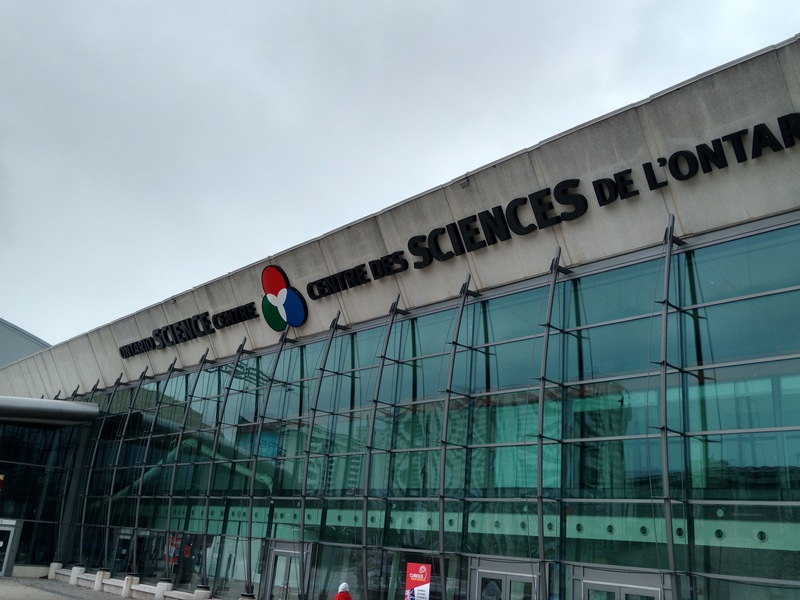 Love the Science Centre. Thanks for tips. Saving money is always good. I just moved to a place with electric heating so my bills this winter were ridiculous compared to what they used to be. So for me, it won’t be extra money as much as it’s just money I was used to having for other expenses before. Ugh…electric heat is so expensive! I feel for ya! 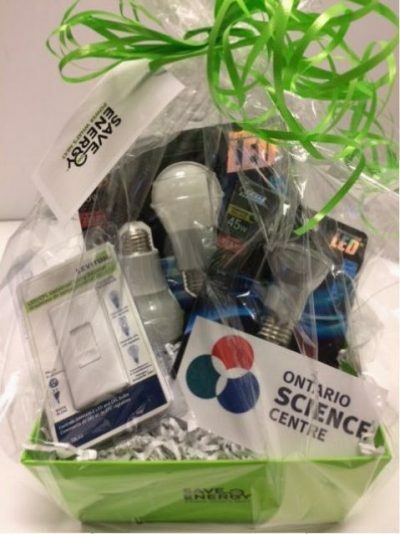 If you win the prize pack, it comes with items to help save energy in your home. Good luck! I would use the extra money I save towards a vacation! That sounds heavenly!! Good luck! I would use the money saved to take my family out for dinner. I’m totally in favour of anything that gets Mom out of cooking *another* meal! Good luck! We always enjoy our visits there. Such a fun place for the entire family. They make learning fun! This looks like such a great exhibit. I feel like even adults can learn a thing or two from it! It seems no matter what we do, our hydro bill is higher each month. I’d use the saved money for a date night! Sounds like fun, Rosealie – good luck!